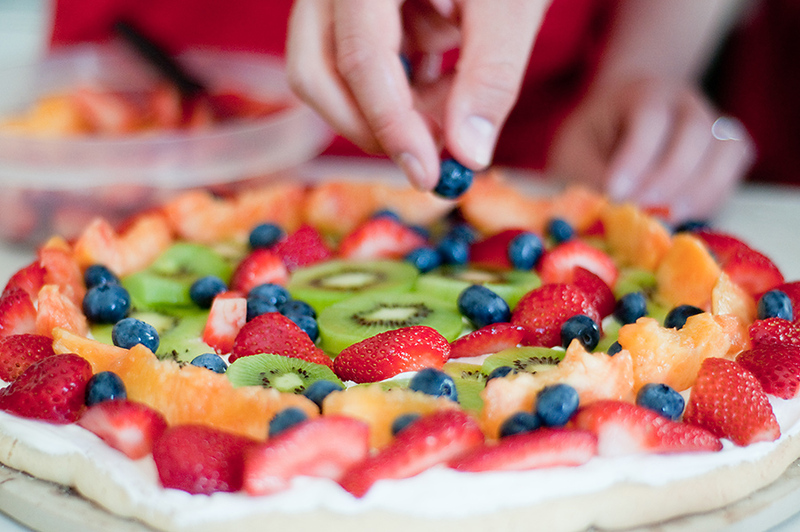 One of my favorite 4th of July desserts is Fruit Pizza! This was last years, and I can’t wait to make one again this weekend. In a large bowl, cream the butter and sugar until smooth. Mix in egg. Combine all dry ingredients, and stir into the creamed mixture. Press dough into an ungreased pizza pan. Bake for 8 to 10 minutes. Cool. Cream all ingredients together until you get desired thickness. 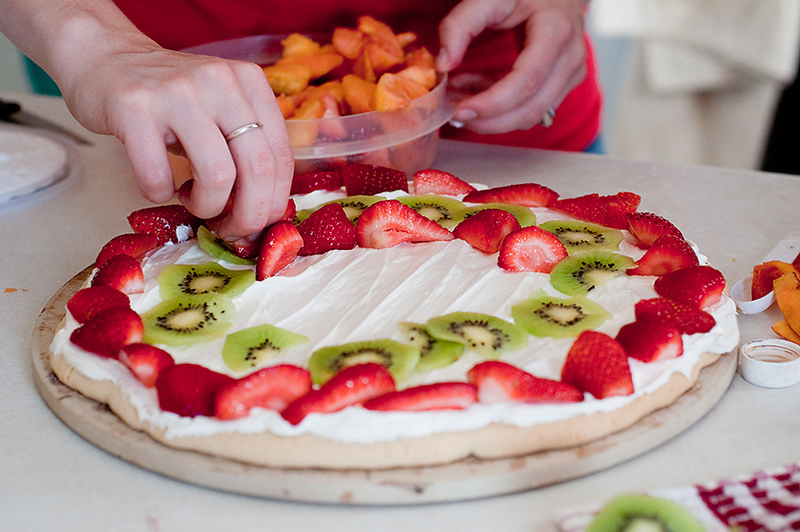 Spread frosting onto cooled crust. Decorate with the fruit of your choice. Enjoy! 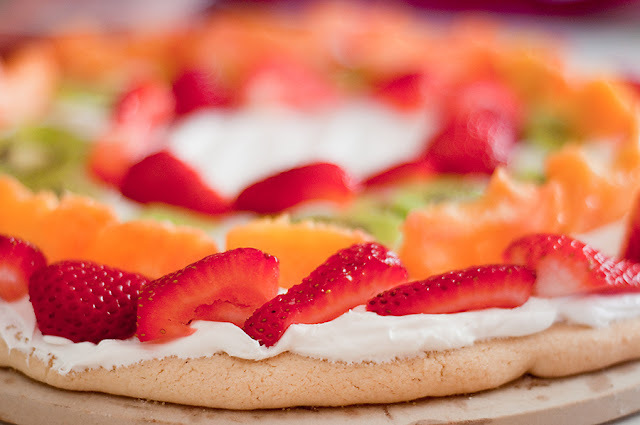 For much quicker pizza, use store bought sugar cookie dough. Yum! It’s not going to be the same without you this year! I don’t know if I can make this as good as you did. I don’t know if we are even going to attempt going down to see the fireworks, sad. That does look yummy Cali! Thanks for sharing! © 2019 Bits of Everything. All Rights Reserved.